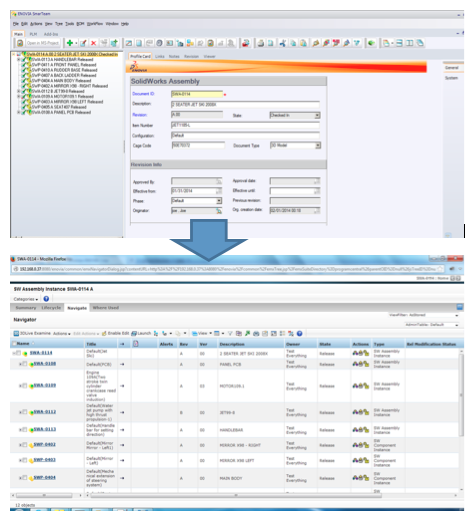 SmarTeam to 3DEXPERIENCE Migration Adapter - SteepGraph Systems Pvt. Ltd. » SteepGraph Systems Pvt. Ltd.
Today all SMARTEAM customers worldwide are aware that, 3DEXPERIENCE is at the center of Dassault System’s product strategy for future. The 3DEXPERIENCE platform delivers the flexibility, open standards, scalability and industry-specific functionality today’s global enterprise as well as SMB companies. SMARTEAM customers are evaluating various methodologies, approaches and tools for Migration to 3DEXPERIENCE Platform. The data set in terms of metadata could be very large and complex. It is important that migration tool has capabilities to execute several threads, processes, machines to that throughput of the migration is very high to reduce migration time window. SmarTeam Migrator supports both the data models and migrates all CAD, Non CAD data that exists in these databases. SmarTeam Migrator supports migration of Projects, folders and the data in the folders. 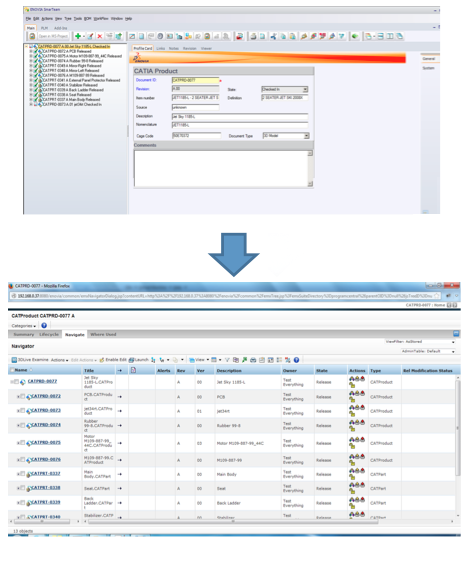 It maps this data in 3DEXPERIENCE so that post migration users see similar way of managing the data. In 3DEXPERIENCE, data is migrated to Designer Central based data model. The designer central data model supports multi-CAD environment including CATIA V5. When performing migration, the finalization relationships are maintained well based on state of the object. Also, Designer Central for CATIA integration requires that object name and file names are same. To take care of this, renaming features of Designer Central is used. In 3DEXPERIENCE, data is migrated to Designer Central based data model. The designer central data model supports multi-CAD environment including Solidworks. When performing migration, the finalization relationships are maintained well based on state of the object. When it comes to files, in SmarTeam, file names are appended with object Id and class id. These are updated as a part of migration. Also the Designer Central data model requires that, when the Solidworks data is checked in, it should be managed as configurations. This data model is elaborate and complex. SmarTeam Migrator takes care of this aspect very well and create all required objects, relationship to ensure that it complies with Configuration schema of Designer Central. 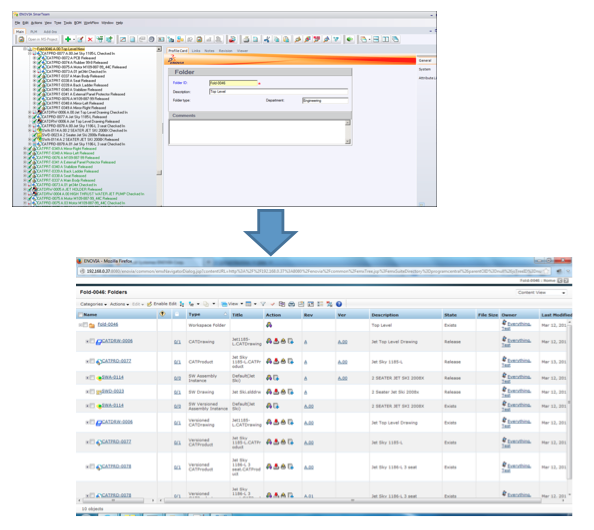 This is very key aspect of the migration of Solidworks data. 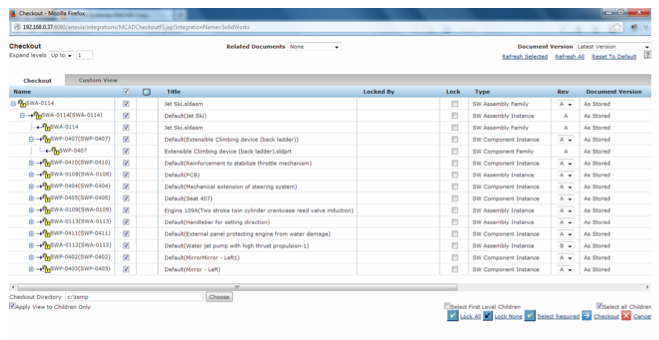 SmarTeam Migrator has configurability in XML to map attributes from SmarTeam to 3DEXPERIENCE. 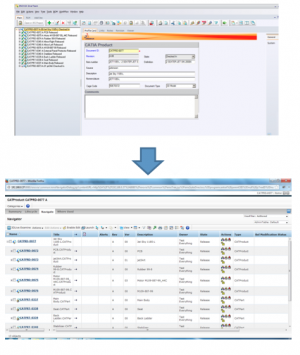 SmarTeam Migrator migrates all Documents, Items and BOM to 3DEXPERIENCE. All revisions, versions, profile attributes of the data are migrated well. It creates BOM structure in 3DEXPERIENCE. Post migration, 3DEXPERIENCE’s comprehensive BOM management capabilities can be used for Parts and BOM Management. When actual migration is run, it is important to get visibility of the migration progress. To provide the up to date progress, Migration Monitoring Console is provided. Automatic refresh of the console after every 60 seconds. SmarTeam Migrator is based on very extensible and scalable framework for migration. The framework has below capabilities to have high throughput of the migration and minimize the migration window. Workflows in Out-Of-The-Box 3DEXPERIENCE are different than those in SMARTEAM. The functionality does not one-to-one map between these two platforms. 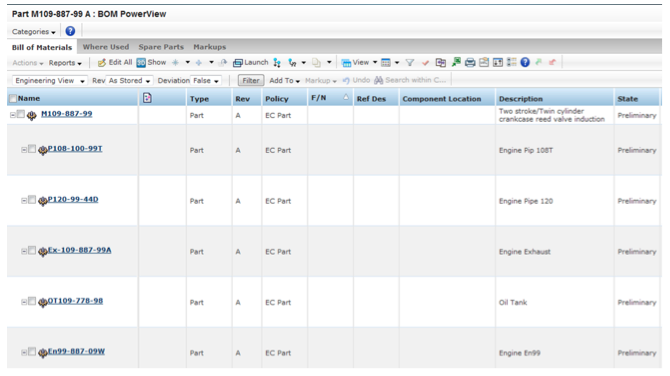 It is important that all SMARTEAM workflow functionality is mapped in 3DEXPERIENCE. To take care of this, SmarTeam Migrator is bundled with Workflow tool for 3DEXPERIENCE. Flexible : WF is derived from Template. WF Leader(Object Owner) can add/remove activities.